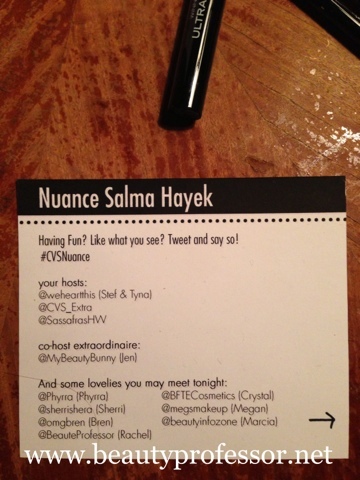 Beauty Professor: Nuance Blogger Event Hosted by We Heart This! 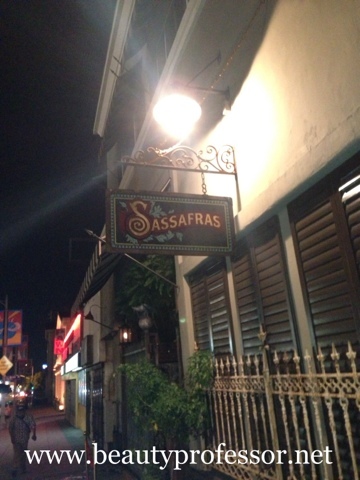 This weekend, I attended a delightful event at Sassafras Saloon in Hollywood, where I mingled with fellow beauty bloggers (some of whom were in town for IMATS...more on that later!) 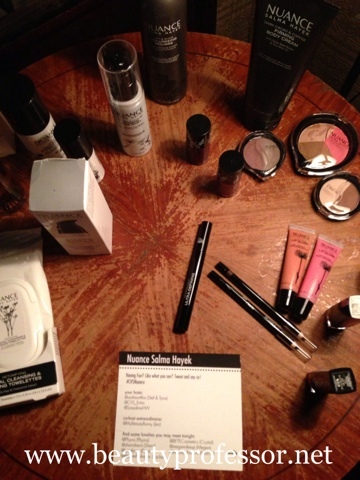 and took a peek at the Nuance by Salma Hayek makeup and skincare line. Hosted by the lovely gals at We Heart This and Jennifer Matthews of My Beauty Bunny, it was an enchanting evening of commiserating with likeminded beauty fiends, eating delicious southern style fare and swatching like crazy. Kindly scroll on for more pictures of the night! Above: These cards were on our tables, letting everyone know what beauty bloggers were in attendance. Above: Met up with Phyrra (of www.phyrra.net)...so lovely to see her in person! 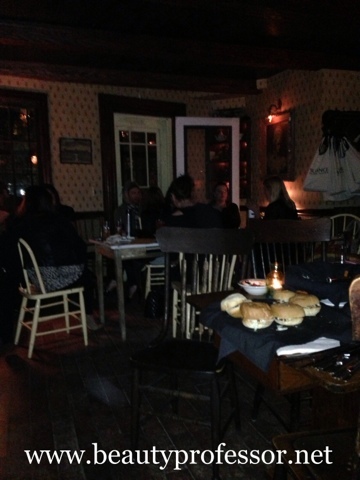 Above: A rather dim shot of the delicious beef short rib sliders. 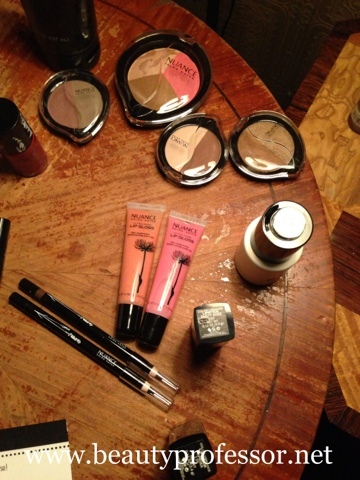 Above: Some of the Nuance products, up close and personal. Above: I was taken by the rich warm hues of these eyeshadows and glosses. Above: Foundation central...I received the Nuance liquid foundation in Light-Medium Cool (which looks surprisingly neutral to slightly yellow, rather than pink as the name would imply). I will be swatching and testing it promptly! Above from L-R: Dawn of BeautyFrosting, Steph of WeHeartThis and The Beauty Professor. 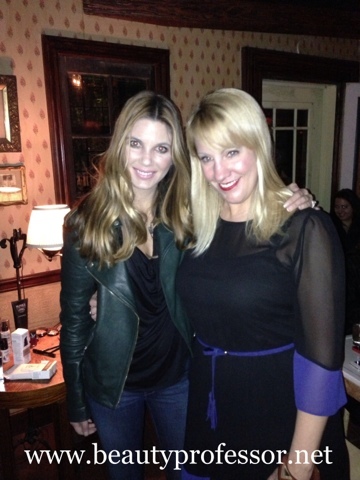 These bloggers were so much fun to visit with! 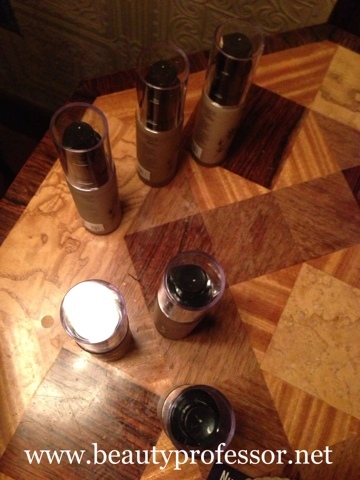 Above: Testing out foundation shades (what else?!) on my hand. Above: Steph of WeHeartThis was such a gracious host! Above: One more quick perusal before leaving. Bottom Line: In addition to a wonderful evening of camaraderie (it was fantastic to meet my pale lipstick twin, Marcia, of BeautyInfoZone! ), I received a bevy of Nuance products that I look forward to experiencing and posting about (first up will likely be the foundation). 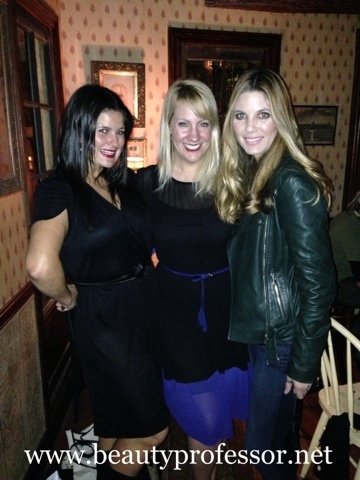 Steph, Tyna and Jen, Nuance and Sassafras Saloon...thanks for a brilliant event! Aw, this looks like so much fun! I need to move to LA lol! Thank you so much, Delacotta, for ALL of your sweet words. I wish you could be there too! 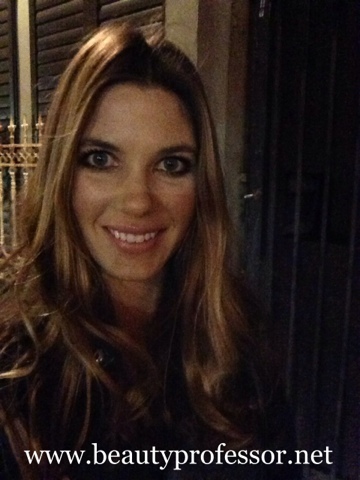 Meeting you in person would be a blast!!! I will have to read your Nuance review...I plan on reviewing the foundation I received very soon! IMATS to Hawaii would be amazing on many counts...beautiful environment, tons of makeup and you would be there ; ) What's not to like?! I'm so sorry I had to leave early. I wish I'd stayed and played more with the cosmetics and YOU. I loved meeting you. Thanks for mentioning me. I hope next year we can spend time together! 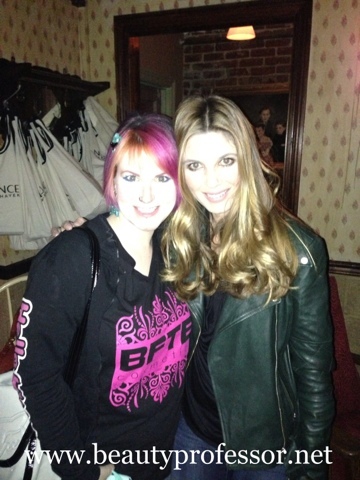 As I mentioned before, it was such a joy to meet you in person!! I look forward to our paths crossing next year!